Interested in nonprofit software? 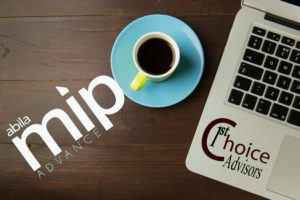 1st Choice Advisors has you covered. 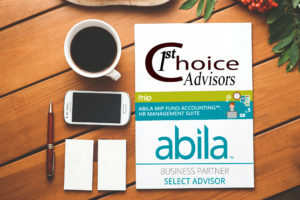 MIP Fund Accounting: An industry standard for nonprofit accounting software. Customizable charts of accounts allows you to tailor you reports and show more transparency. Module-based so you can customize it to what you need. Sold as an on-premise license but can be hosted; single user or hundreds. MIP Cloud: The newest cloud-based version of MIP. Includes customizable dashboards and can be integrated with other software you already use. Also, you won’t be responsible for doing updates or security management. 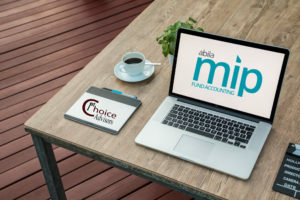 MIP HR Suite: It can be added to either and includes HR Management, Payroll, and Employee Web Services. ACA reporting included! 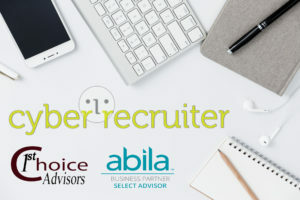 Cyber Recruiter Applicant Tracking: Add this to your HR Suite and you can easily review applications and quickly turn them into effective employees. 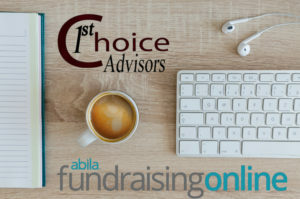 Fundraising 50: A simple, yet powerful, way to manage your donations and events. Keep in communication with your donors and easily report on their gifts. 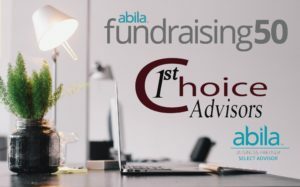 Abila Fundraising Online: Crowd fund and take online donations. Easily set up web pages for different funding needs and events. Easy use with our current credit card system and data base. MIP Fund Accounting HR Management Suite: Don’t let deadlines slip past you and easily set up tasks for your team. 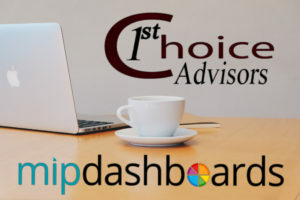 MIP Fund Accounting Dashboards: Our new dashboards enable quick transformation of your financial data into useful and readily understood info. Cost principles, administrative requirements and audit requirements vary based on entity type (i.e. NGOs, government, education). 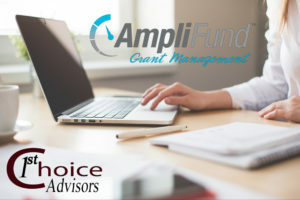 That said, AmpliFund Grant Management complies with all federal grant standards, as published by the Office of Management and Budget (OMB), across sectors. Built with flexibility and functionality in mind, it can easily adapt to coincide with differing internal processes and external reporting requirements, making it a winning solution for all.